Enjoy the soft texture of our hand made shaggy rugs that come in different sizes ,colors and effects. It takes several days to made one shaggy rug and the unique blend of differently toned strands make the rug look very elegant and leaves a story behind it . We are also having different designs and motiffs in machine made . 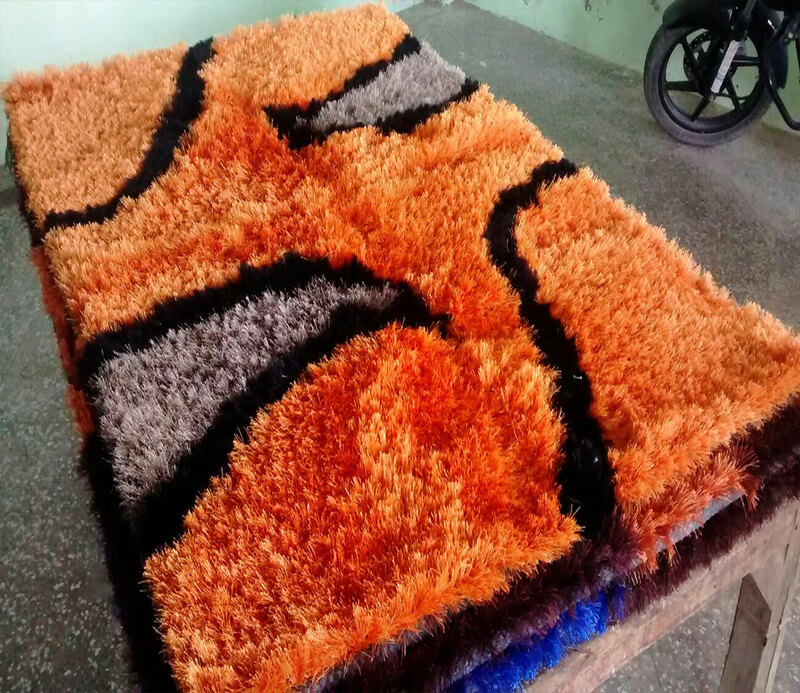 The machine made shaggy rugs are very much appreciated as they are compratively cheaper and comes in various patterns and designs . They can also be customised as per the requirement of the clients . They are very much in demand in India and also in the overseas market .